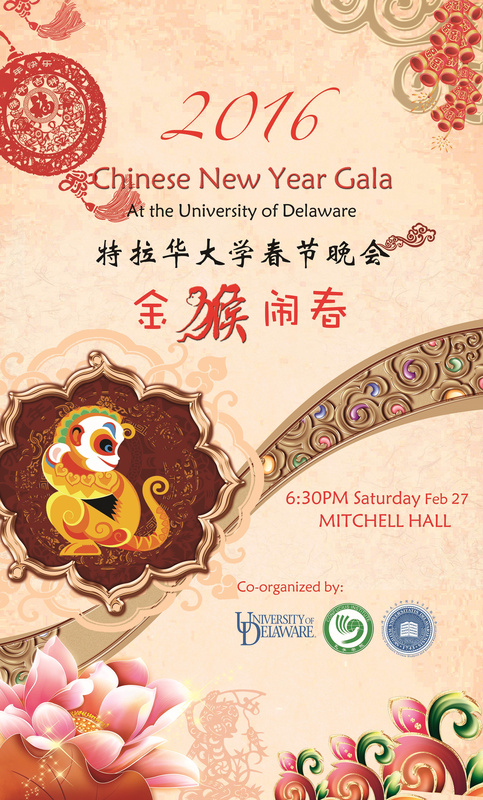 The Confucius Institute and the Chinese Students and Scholars Association invite the University of Delaware campus community and the public to a special celebration of the Chinese New Year — the Year of the Monkey — on Saturday February 27, in Mitchell Hall on UD’s Newark campus. This year, the Chinese New Year fell on Monday February 8th to start the Year of Monkey in the Chinese zodiac. On Saturday Feb. 27, starting from 6:30 p.m., an evening of traditional and modern Chinese New Year festivities will be presented in Mitchell Hall. Tickets are sold online at https://udcssa.yapsody.com/event/index/28589/2016. Prices vary at $12.99, $6.99, $4.99 and $2.99 per person. Online booking processing fee may apply. Limited tickets may be also available at the door. For more information, contact the Confucius Institute at UD at 302-831-7188/7190 or via email confucius@udel.edu.